You will find the current press releases here. Please also scroll down for current images of our products as well as for links leading to our social media channels. The third addition, also starting on 1 September, is Kathrin Aigner as Chief Compliance Officer for the entire CORESTATE Capital Group. She previously worked as a lawyer with a focus on real estate at international law firm Hogan Lovells International LLP. The attorney has long-time experience in compliance, data protection and transaction issues in several international corporate law firms and also served as Chief Compliance Officer, Data Protection Officer and Head of Legal at various international companies. Aigner is admitted to the bar as a lawyer in Germany, England & Wales and the US (New York and US Supreme Court) and is a certified Compliance Officer and certified Data Protection Officer. Executive Director Chief Risk Officer Andreas Wahl-Ulm, the former Chief Compliance & Risk Officer at CORESTATE, will now focus on risk management and corporate data protection. in the regulated market (SDAX) of the Frankfurt Stock Exchange. CORESTATE Capital Holding S.A. (CORESTATE), a fully integrated investment manager and co-investor based in Luxemburg, acquired a 413 unit student housing project in Sevilla in southern Spain for private investors as part of a Club Deal. Construction of the project started in June 2018 after CORESTATE had won a EUR 19.8m loan on a 5-year basis from a debt fund advised by LaSalle Investment Management for the investment. The student residence in Sevilla will encompass over 11,500 sq.m. of GLA after its planned opening in the first quarter of 2020. A few minutes’ walk from the city centre, it is located on the EUSA Campus which is part of the Universidad de Sevilla. The university is the largest in Spain with over 60,000 students. Overall, the Andalusian capital is home to more than 75,000 students, which represents 16% of Spain’s total student population. 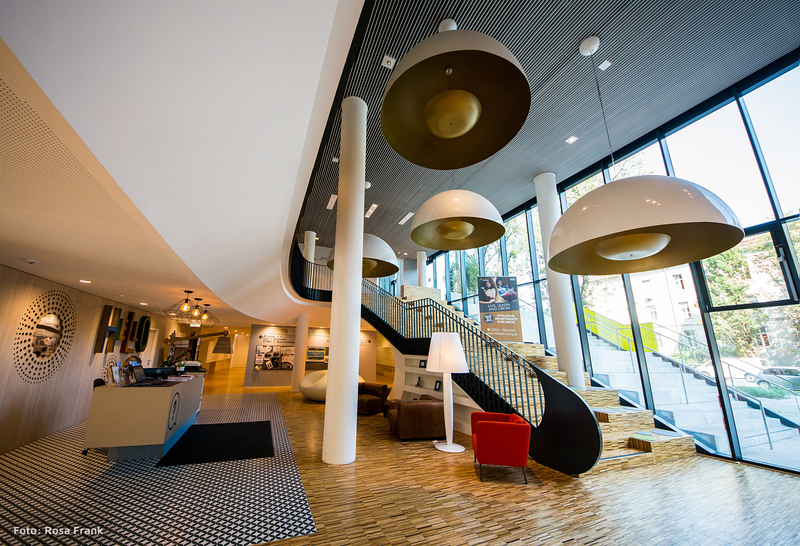 The student residence will be operated by YOUNIQ, which is part of the CORESTATE Group. As a market leader in the European micro living sector, CORESTATEs integrated business model covers the entire range of real estate services for their investors: from acquisition and sale, financing and property development all the way to smooth professional operations – without taking any project development risk. The loan has a maturity of five years. Matthias Heimann, Executive Director Debt Finance, CORESTATE: “Our heightened engagement in the Spanish student housing market helped us secure attractive financing conditions for the project.” CORESTATE’s first project in Madrid with 260 student apartments is close to completion and scheduled to open in September. Two further student housing projects are planned in Valencia and Bilbao. CORESTATE Capital Holding S.A. (CORESTATE), a fully integrated investment manager and co-investor based in Luxemburg, has bought a former office complex in Munich, Germany. Built at the beginning of the 1980s, the asset was recently refurbished to house 260 serviced apartments. The building offers 8,300 sq.m. 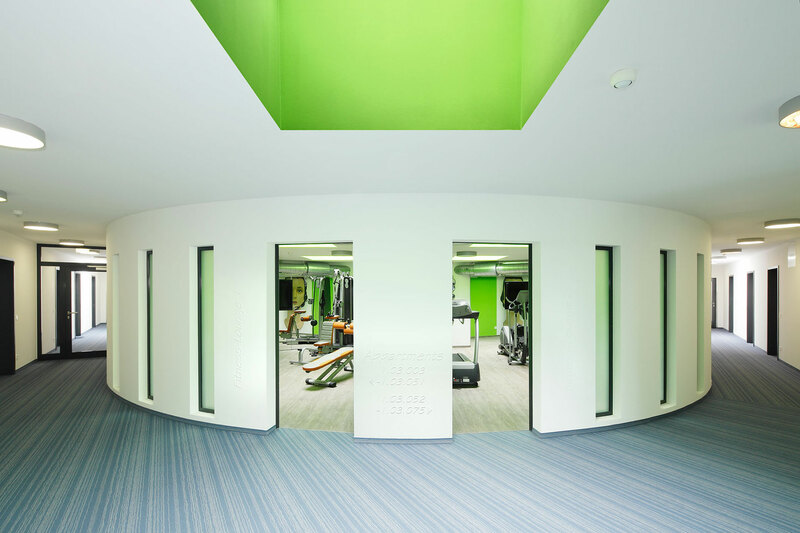 of rental space, which apart from the flats includes common rooms, a fitness studio as well as a 1,800 sq.m. training and conference centre with a flexible floor plan. Located in the Moosach district north-west of the city centre, the asset is well-linked to the B304 state road, a main city artery, as well as the local public transport network. 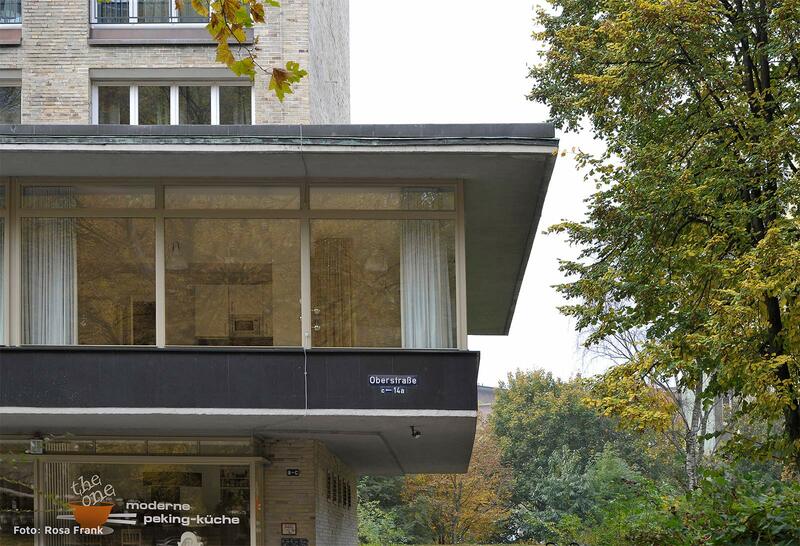 The inner city can be reached in less than 15 minutes from the nearby subway station “Olympia-Einkaufszentrum”. The Olympia mall itself offers a wide range of shopping as well as leisure opportunities on site. Leipzig, 13 February 2018. UPARTMENTS Real Estate GmbH has expanded its management board with the appointment of Oliver Kasties as a managing director. He will support current MDs Heiko Henneberg and Alexander Kersting. Kasties comes from DEHOGA Beratung GmbH, a leading consultant for the hotel and catering industry in Germany. 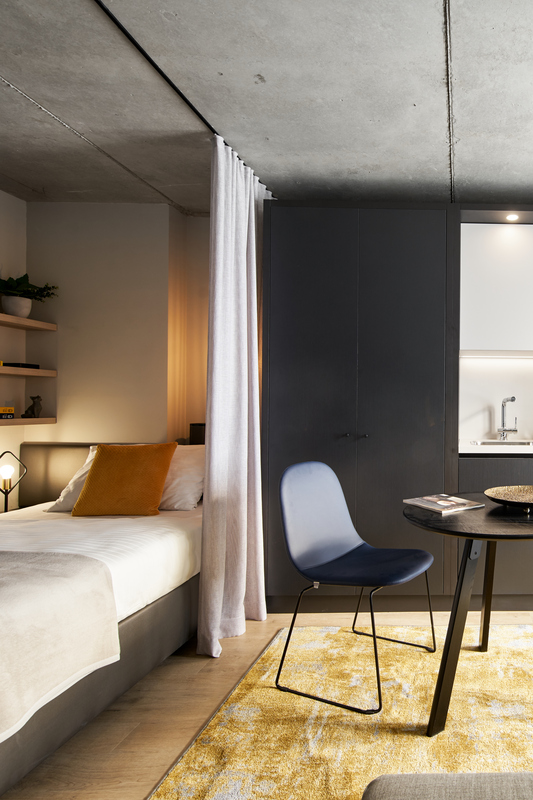 In his new role, Oliver Kasties will be in charge of the Serviced Living division under the “UPARTMENTS-Upgrade your stay” brand, which offers micro-apartments for business travellers on trips lasting from one day to six months. Kasties was a consultant at DEHOGA in Stuttgart from 2009 and previously held various positions at TREUGAST Solutions in Berlin. A tourism business graduate, Kasties is also a qualified hotel manager and has been the director of several hotels in Germany. UPARTMENTS Real Estate GmbH (UPARTMENTS), headquartered in Leipzig, is a wholly owned subsidiary of the CORESTATE Capital Group. 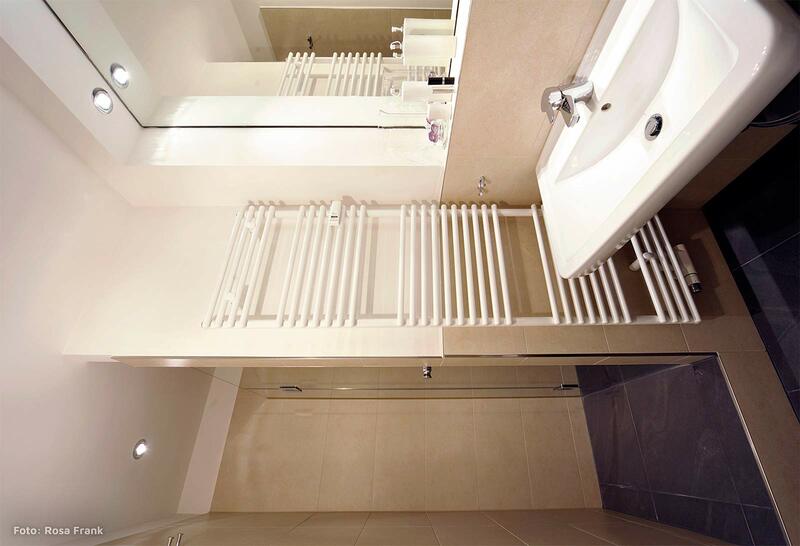 UPARTMENTS specialises in micro-apartments as an asset class. It currently manages around 6,400 residential units in Germany, Austria, Spain and Switzerland under the YOUNIQ, Linked Living and UPARTMENTS brands. In addition to property and facility management, UPARTMENTS also handles marketing and leasing of individual buildings and consulting in the micro-apartments Segment. Berlin, 20 September 2017. 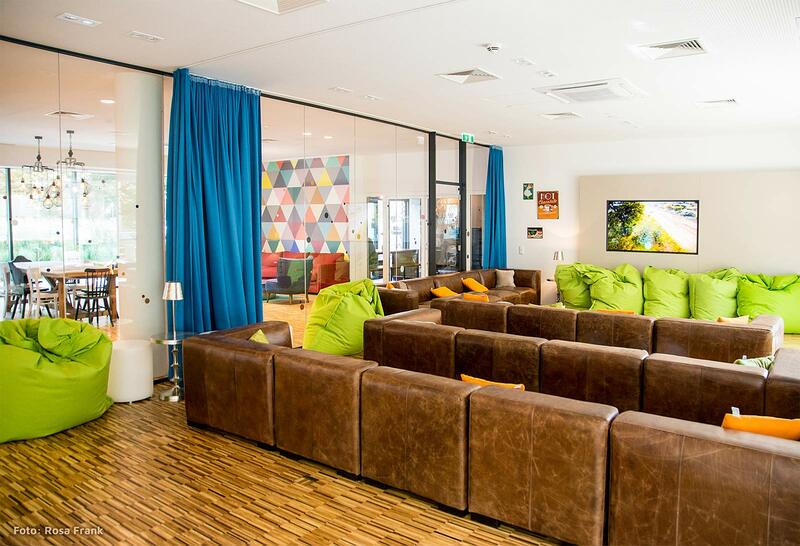 UPARTMENTS Real Estate GmbH has opened its first YOUNIQ student apartment development at Müllerstrasse 34 in Berlin. 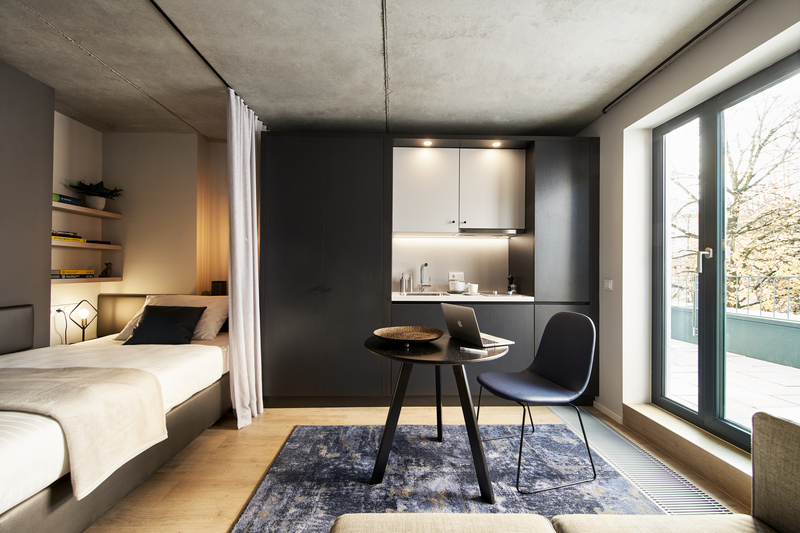 Following a 16-month construction period, the 14th YOUNIQ building in Germany and the first YOUNIQ student apartment development in Berlin is being launched just in time for the 2017/18 winter semester. The new building offers a total of 163 apartments across seven floors and around 600 m² of commercial space. 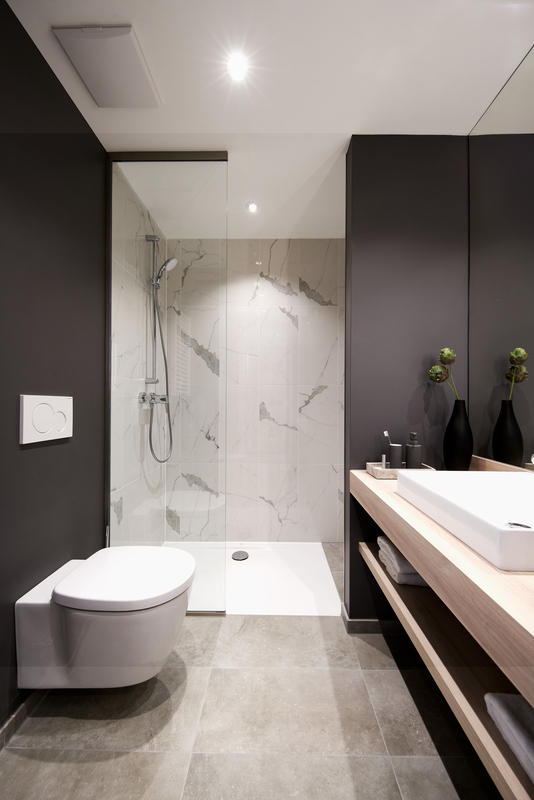 The apartments in Berlin are between 18 and 45 m² in size and each have their own pantry kitchen and bathroom. The building also includes a launderette, a cooking lounge and numerous community lounges. A scout is available every day to answer students’ questions about living in Berlin. 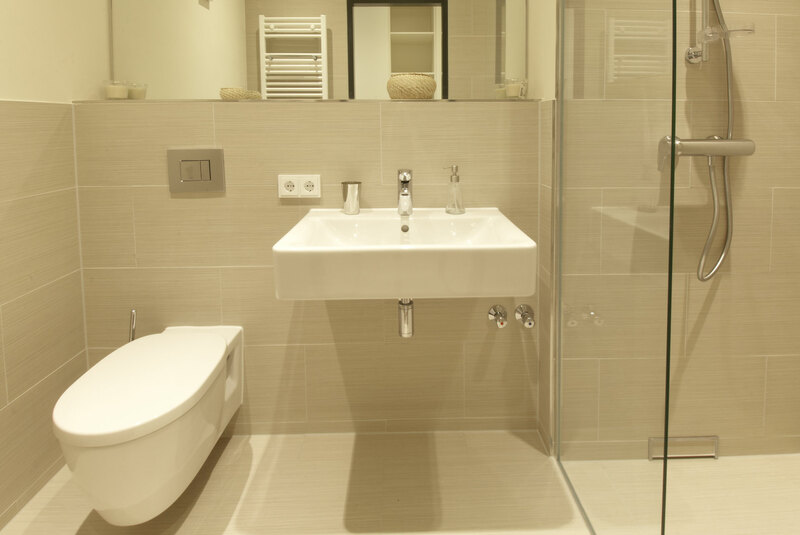 UPARTMENTS Real Estate GmbH is responsible for managing, letting and marketing the property. “Berlin has one of the biggest supply gaps in Germany in terms of student accommodation,” commented Heiko Henneberg, Managing Director of UPARTMENTS Real Estate GmbH. “As an area, Wedding also offers ideal conditions for students, with good shops and lots of bars and cafés. Beuth University of Applied Sciences is a short walk away from the YOUNIQ apartment building, while all other major Berlin universities can be reached easily by public transport.” With four universities, four colleges of art, seven universities of applied science and 24 private institutions, Berlin is practically unrivalled in its range of higher education establishments. UPARTMENTS Real Estate GmbH (UPARTMENTS), headquartered in Leipzig, is a wholly owned subsidiary of CORESTATE Capital Group. 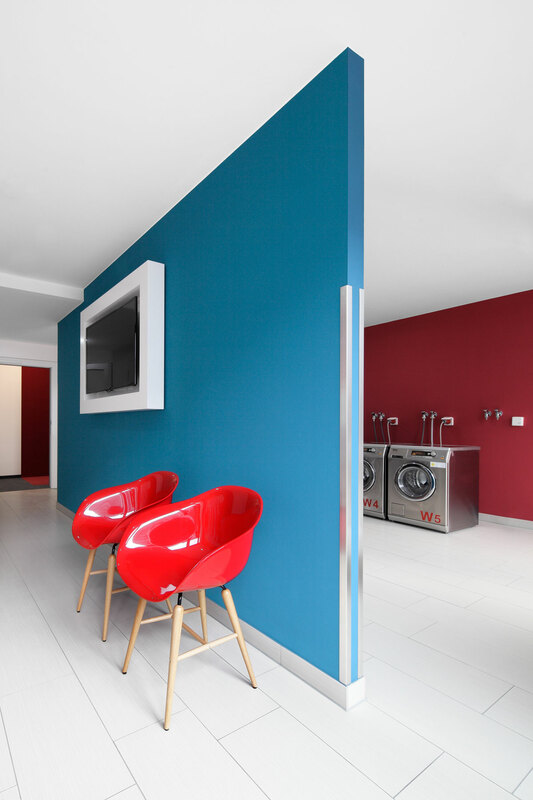 UPARTMENTS specialises in the micro-apartments asset class and currently manages around 4,200 residential units in Germany, Austria and Spain. In addition to property and facility management, UPARTMENTS also handles marketing for the individual buildings and consulting in the micro-apartments segment. UPARTMENTS Real Estate owns the Linked Living, YOUNIQ and UPARTMENTS brands. CORESTATE Capital Holding S.A. (CORESTATE), a fully integrated investment manager and co-investor based in Luxembourg, acquires a micro living project in Vienna, Austria, from UBM Development AG in a “Forward Funding” deal structure. Completed in spring 2019, the project will feature 131 fully furnished micro apartments and offer extensive services. 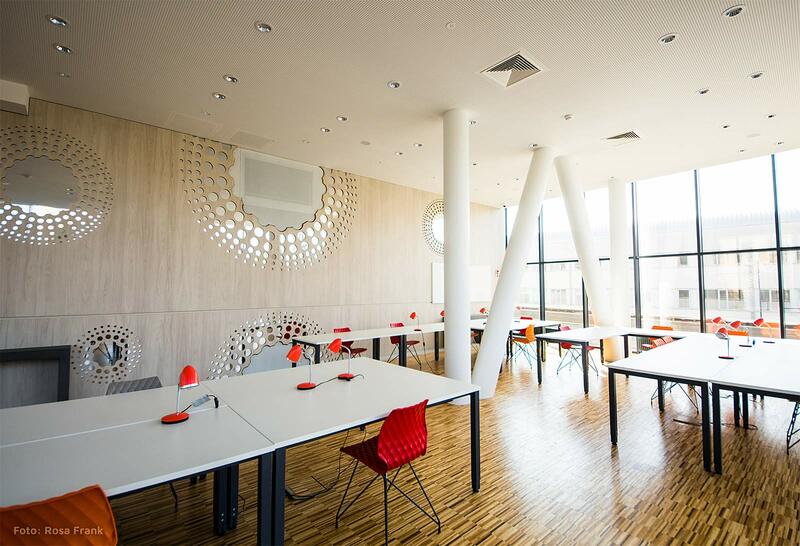 The plot is located in the new district “Quartier Belvedere Central”, an urban development concept of office, residential and hotel properties in the direct vicinity of Vienna’s main station. UPARTMENTS Real Estate GmbH, a CORESTATE subsidiary, will be responsible for the management of the project. This is the third project CORESTATE realizes in Austria’s capital. 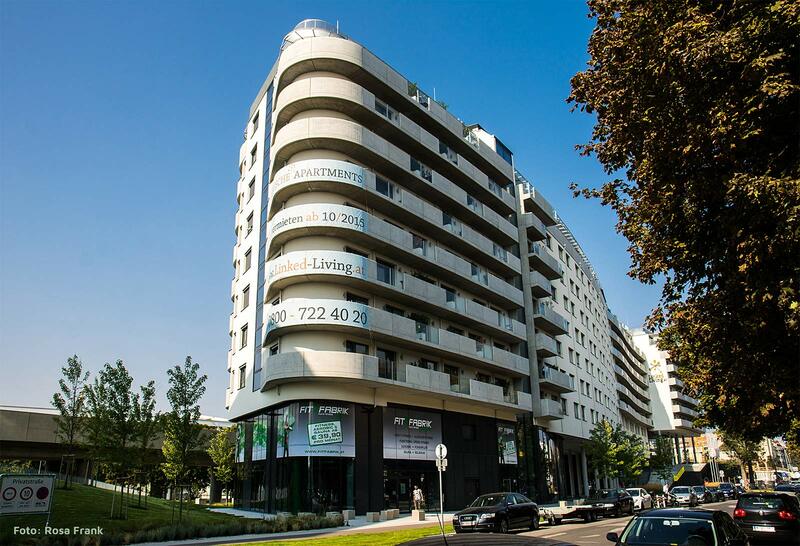 In autumn 2015, CORESTATE opened the development project “Linked Living”, which was the largest housing estate for students in Vienna with 589 fully furnished micro-apartments. For a recently launched serviced apartment fund with a target volume of at least EUR 200 million, CORESTATE has invested in one of three residential towers of the new construction project “TRIIIPLE”. CORESTATE Capital Holding S.A. (CORESTATE) is an investment manager and co-investor with approximately € 20bn* in assets under management. As a fully integrated real estate platform, CORESTATE offers its clients combined expertise in the areas of investment and fund management as well as real estate management services. The company operates as a respected business partner of institutional clients and wealthy private investors internationally. CORESTATE is headquartered in Luxembourg and has 29 offices including in Frankfurt, London, Madrid, Singapore and Zurich. The company employs over 470 people and is listed in the open market of the Frankfurt Stock Exchange. Further information is available at www.corestate-capital.com. This press release may contain forward-looking statements based on current assumptions and forecasts made by our management. Various known and unknown risks, uncertainties and other factors could lead to material differences between the actual future results, financial situation, development or performance of our company and the estimates given here. These factors include those discussed in our public reports, which are available on our website at ir.corestate-capital.com. The company assumes no liability whatsoever to update these forward-looking statements or to conform them to future events or developments. Readers are cautioned not to place undue reliance on these forward-looking statements, which speak only as of the date hereof. 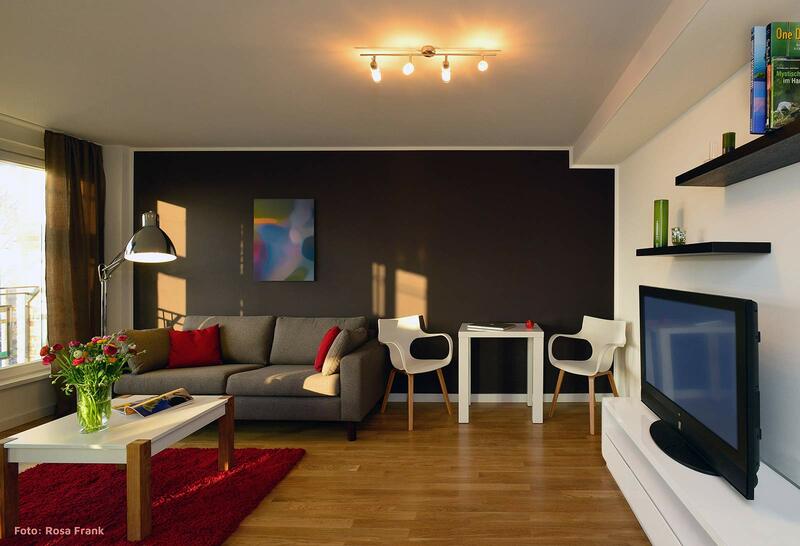 CORESTATE Capital Holding S.A. (CORESTATE), a fully integrated real estate investment manager and co-investor based in Luxembourg, is structuring a serviced apartment fund with a target volume of at least EUR 200 million. 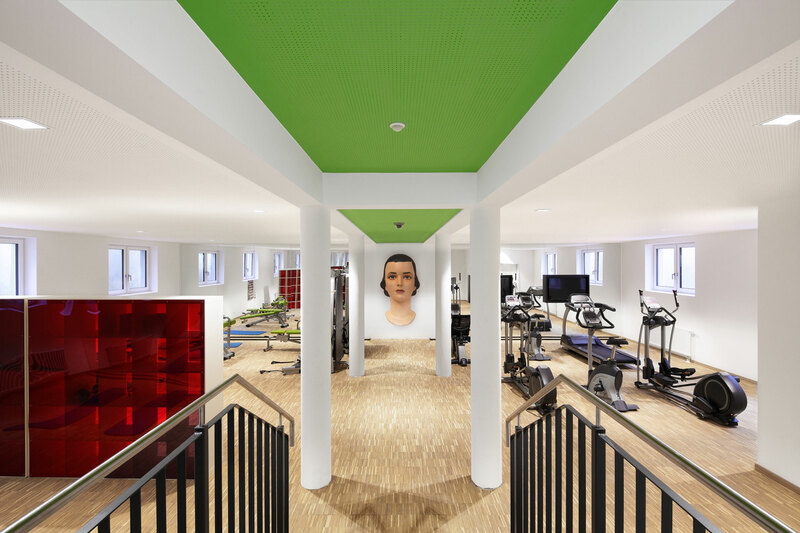 Structured for a large German insurance company, the individual fund focuses primarily on fully equipped and furnished studio and one-bedroom apartments in central locations of major German and European cities such as Vienna, Austria. As the first asset of the individual fund, CORESTATE has invested in one of three residential towers of a new construction project, TRIIIPLE in Vienna. By 2020, the developer will build 670 serviced apartments for young professionals and commuters, along with office and retail space. Besides handling the investment and asset management, CORESTATE will also be responsible for the property management of the buildings through a subsidiary, UPARTMENTS Real Estate GmbH. CORESTATE Capital Holding S.A. (CORESTATE) is an investment manager and co-investor with EUR 20bn in assets under management. As a fully integrated real estate platform, CORESTATE offers its clients combined expertise in the areas of investment and fund management as well as real estate management services. The company operates as a respected business partner of institutional clients and wealthy private investors internationally. CORESTATE is headquartered in Luxembourg and has 29 offices including in Frankfurt, London, Madrid, Singapore and Zurich. The company employs over 470 people and is listed on the Frankfurt Stock Exchange. Further information is available at www.corestate-capital.com. Leipzig, 22 May 2017 – The Leipzig-based company MicroLiving Service GmbH (MicroLiving) is operating the apartment building “Fritz Tower” in the Mitte district of Berlin. The client is the Berlin-based Groth Group. In the residential high-rise on Lehrter Straße, 266 one- and two-room apartments measuring between 22 and 51 m² are being built on 18 storeys. They are primarily aimed at young professionals, commuters and project employees from Germany and abroad. The minimum rental period is six months. 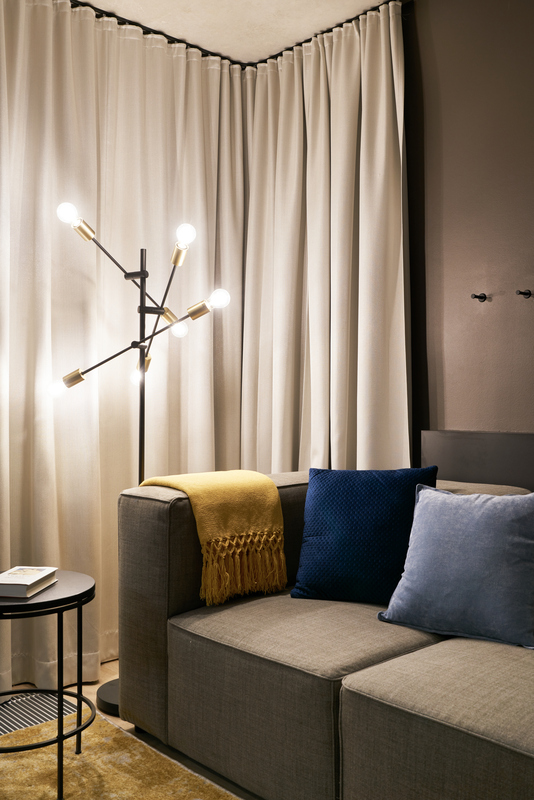 MicroLiving is managing the residential high-rise under the Linked Living brand. In addition to managing the communal parts of the property, the micro-apartment specialist is also taking on the marketing and letting of the building. “And if the future owners want us to, we will also offer them a comprehensive package under which we take care of the whole rental arrangement, deal with payments and issue all necessary invoices for the owners,” adds Heiko Henneberg, Managing Director of MicroLiving. The “Fritz Tower” is located in the heart of Berlin and will be part of the new mixed urban district Mittenmang that is being developed by the Groth Group. It is right by the Europa-City district and the local recreation area Fritz-Schloss-Park, with the central station and the government district within walking distance. 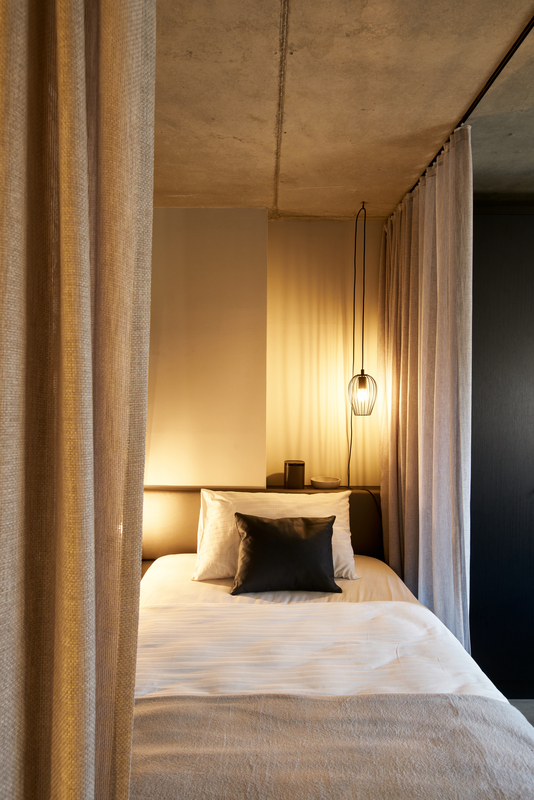 The apartments feature modern fittings and several additional services: The living concept includes a concierge service and there is a fitness studio, a co-working space and a bistro in the building. All rooms are equipped with high-speed WLAN. The building is scheduled for completion in 2019. MicroLiving Service GmbH (MicroLiving), headquartered in Leipzig, is a wholly owned subsidiary of Corestate Capital Advisors GmbH. 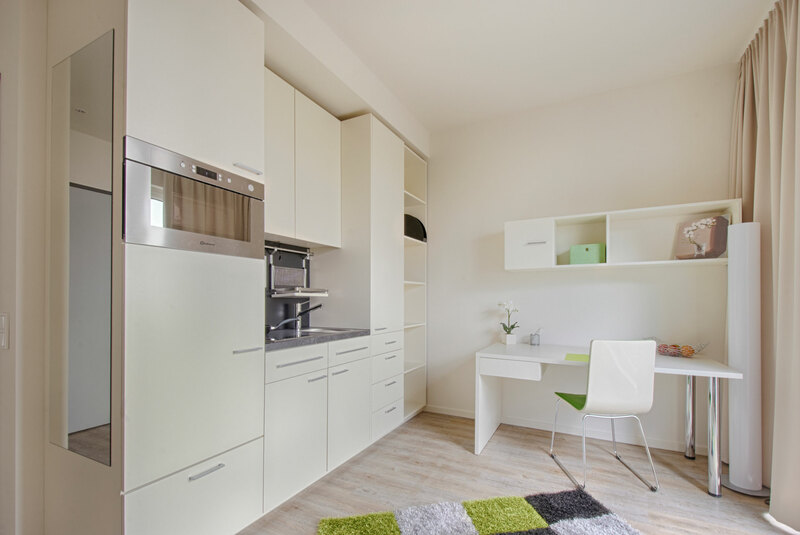 MicroLiving specialises in the micro-apartments asset class and currently manages around 4,200 residential units in Germany, Austria and Spain. In addition to property and facility management, MicroLiving also handles marketing for the individual buildings and consulting in the micro-apartments segment. MicroLiving Service GmbH owns the Linked Living, YOUNIQ and UPartements brands. Leipzig, 12 April 2017 – The Leipzig-based company MicroLiving Service GmbH (MicroLiving) is operating the Grindelhochhaus 14 building in the Harvestehude district of Hamburg. The company specialising in property management of micro-apartments is handling administration, marketing and letting for this high-rise building located at Oberstrasse 14 a-c. With total lettable space of approximately 14,800 m², the building consists of 18 commercial units and 179 furnished one-room and two-room apartments. CORESTATE Capital Holding S.A. had purchased the property for the real estate umbrella fund launched for Bayerische Versorgungskammer on Universal Investment’s Luxembourg AIF platform. 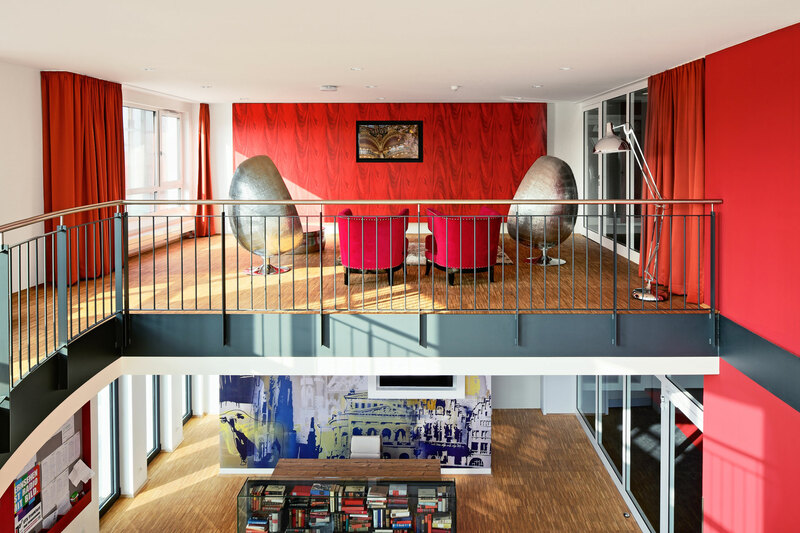 “The Grindelhochhaus building is very popular with tenants due to its excellent location. 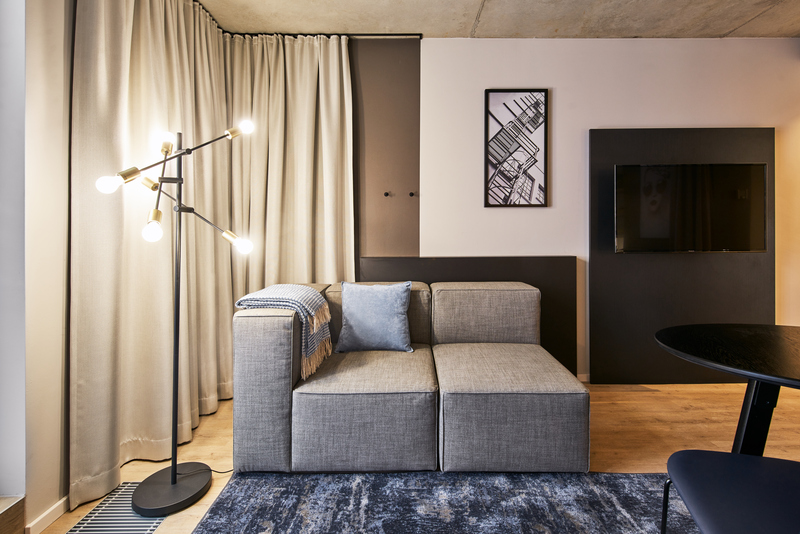 We will ensure a permanently high occupancy rate and deal intensively with the management of the property,” explains Heiko Henneberg, Managing Director of MicroLiving. 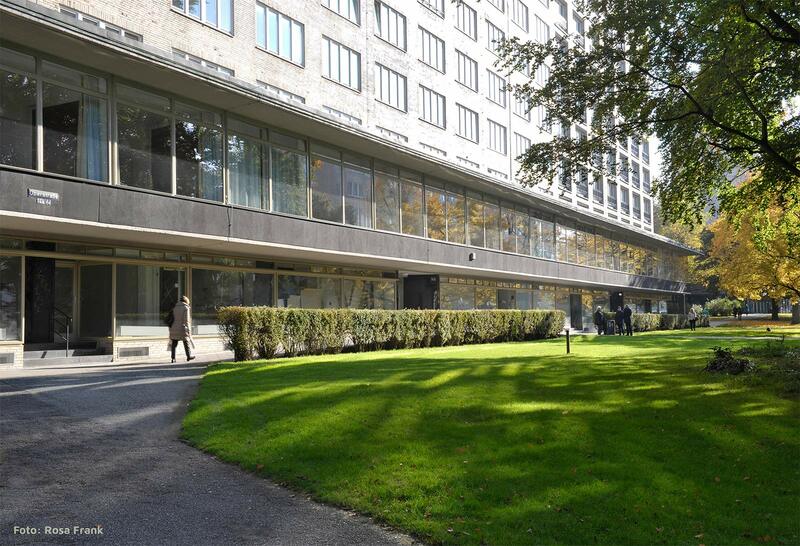 A large portion of the apartments are rented by Lufthansa, Commerzbank, or Beiersdorf for their employees. The Grindelhochhaus high-rise buildings were constructed in the 1950s. In addition to their comparatively low rents, the buildings’ popularity with tenants is due mainly to their location in the Harvestehude district of the city, with Hamburg University within walking distance and Hamburg city centre around 15 minutes away on the underground. MicroLiving Service GmbH (MicroLiving), headquartered in Leipzig, is a wholly owned subsidiary of Corestate Capital Advisors GmbH. 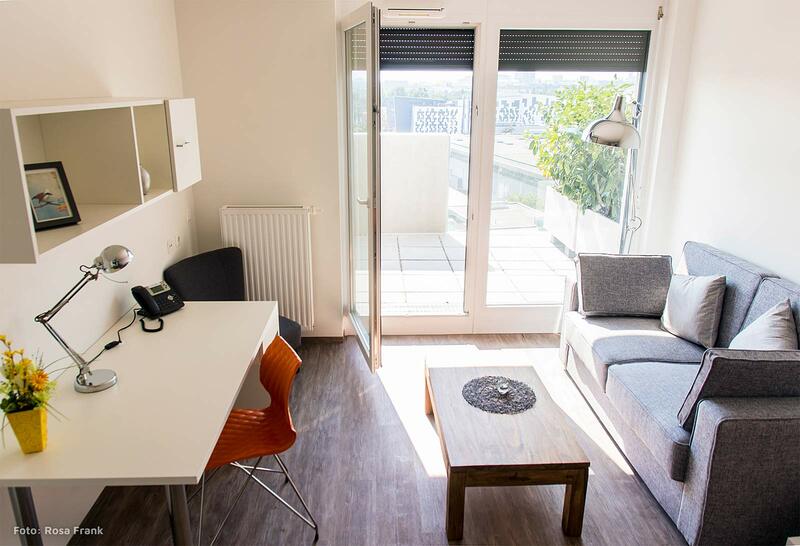 MicroLiving specialises in the micro-apartments asset class and currently manages around 4,200 residential units in Germany, Austria and Spain. In addition to property and facility management, MicroLiving also handles marketing for the individual buildings and consulting in the micro-apartments segment. 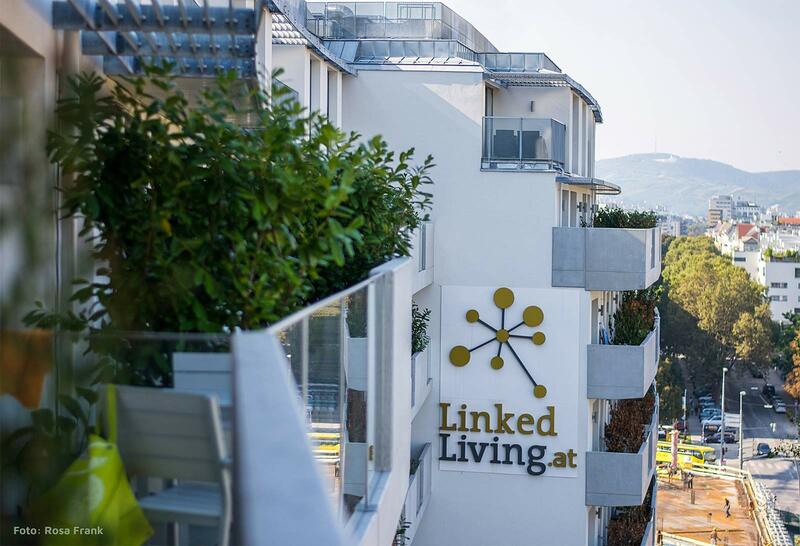 MicroLiving Service GmbH owns the Linked Living, YOUNIQ and UPARTMENTS brands. 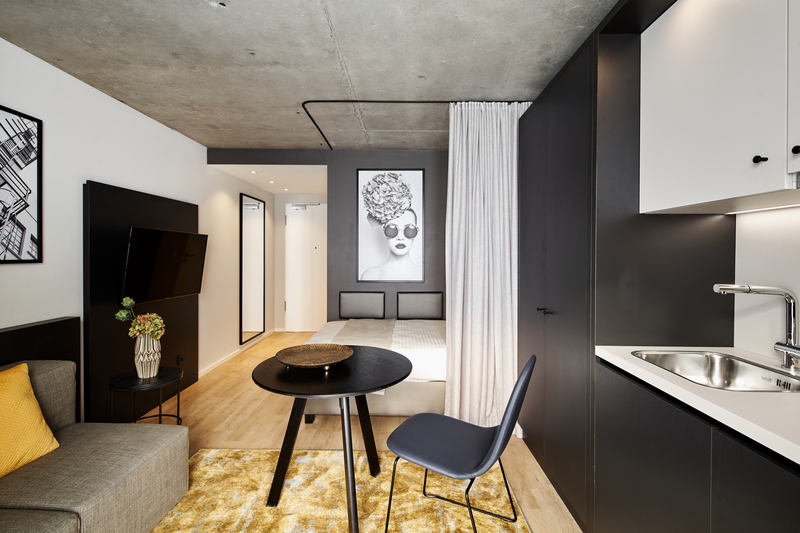 CORESTATE Capital Holding S.A. (CORESTATE), a fully integrated investment manager and co-investor based in Luxembourg, has received a managed account mandate for the development of a micro-apartment project in Munich, Germany. The mandate was given by W5 Group, the family office of Ralph Winter, founder of CORESTATE. Upon completion of the project in summer 2018, the asset will comprise 55 fully furnished and self-contained serviced apartment units. The land plot is located near Ostbahnhof and in the direct vicinity of various business parks, such as Siemens Campus and Werksviertel München. The asset will be operated by MicroLiving Service GmbH (MicroLiving), a property management company founded by CORESTATE. The company focusses on the asset class of micro-apartments and currently manages 4,200 units in Austria, Germany and Spain. In addition to providing property and facility management services, MicroLiving also implements marketing activities for every single asset and offers consulting services for companies in the micro-living segment. CORESTATE Capital Holding S.A. (CORESTATE) is an investment manager and co-investor with EUR 16bn* in assets under management. As a fully integrated real estate platform, CORESTATE offers its clients combined expertise in the areas of investment and fund management as well as real estate management services. The company operates as a respected business partner of institutional clients and wealthy private investors internationally. CORESTATE is headquartered in Luxembourg and has 26 offices including in Dusseldorf, Frankfurt, Madrid, Singapore and Zurich. The company employs over 390 people and is listed on the Frankfurt Stock Exchange. Further information is available at www.corestate-capital.com. This release may contain forward-looking statements based on current assumptions and forecasts made by our management. Various known and unknown risks, uncertainties and other factors could lead to material differences between the actual future results, financial situation, development or performance of our company and the estimates given here. These factors include those discussed in our public reports, which are available on our website at [ir.corestate-capital.com]. The company assumes no liability whatsoever to update these forward-looking statements or to conform them to future events or developments. Readers are cautioned not to place undue reliance on these forward-looking statements, which speak only as of the date hereof. You can find press images for editorial use here. In case you have any questions, our press relations team is pleased to assist you. Do you need further information or have special questions? We will contact you as soon as possible. We are happy to hear from you. In a personal meeting, we can identify your requirements and listen to your ideas more easily and come to an agreement on a possible cooperation. Contact us.